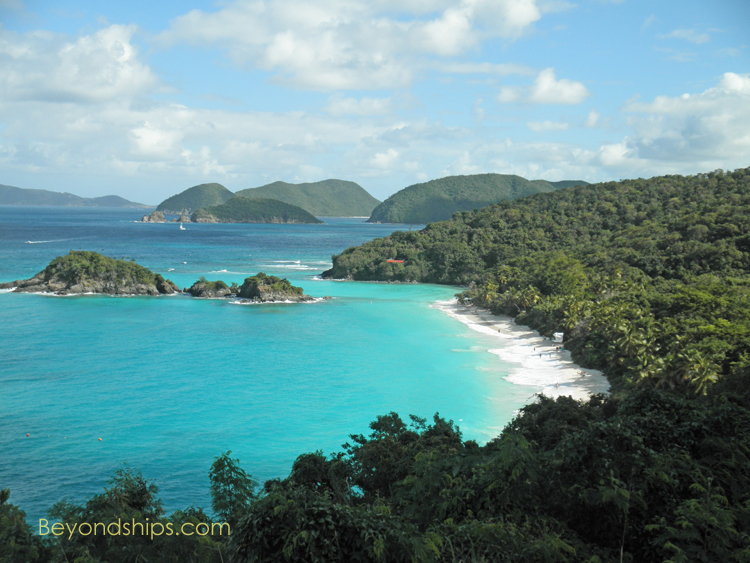 St. John is known for its beautiful beaches. The better known beaches are along the island's north shore. (The ones on the south shore are generally more difficult to reach). This page looks at five of St. John's best known beaches. 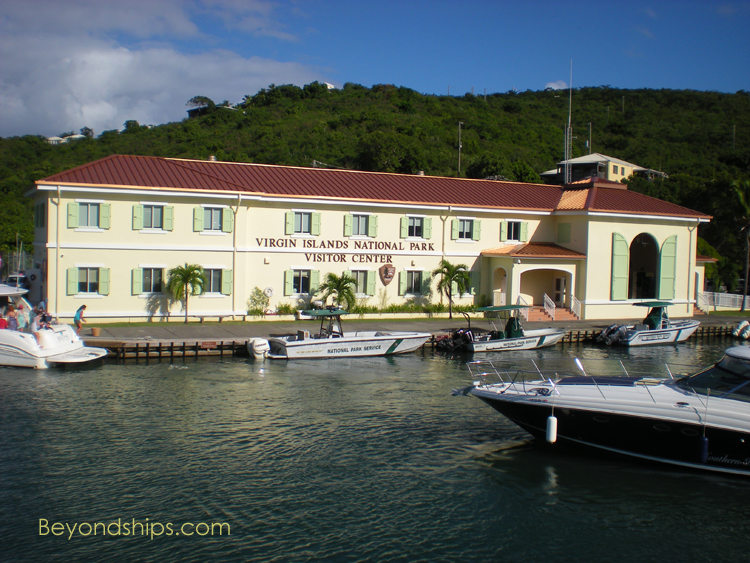 There is also a brief word about the Virgin Islands National Park. 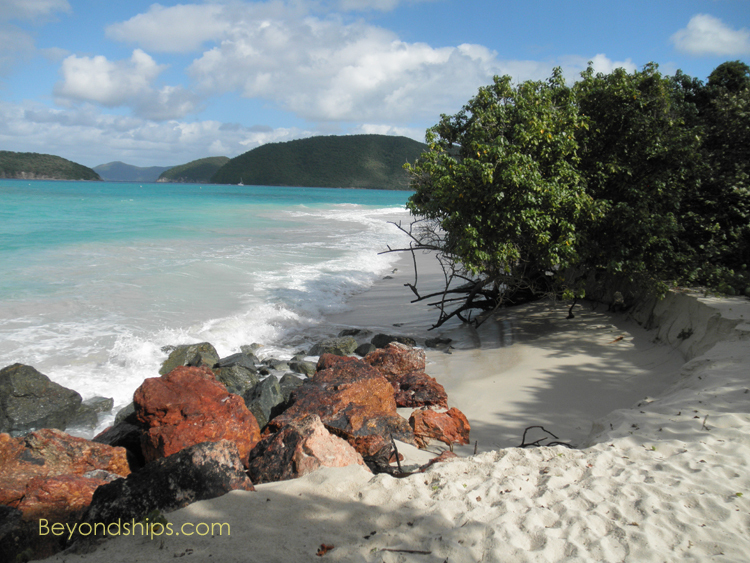 Cinnamon Bay is operated as a campground but is open to the general public. The facilities include a restaurant, a small store, restrooms, showers, changing rooms, and picnic tables. Visitors can rent snorkeling equipment, kayaks and small sailboats. 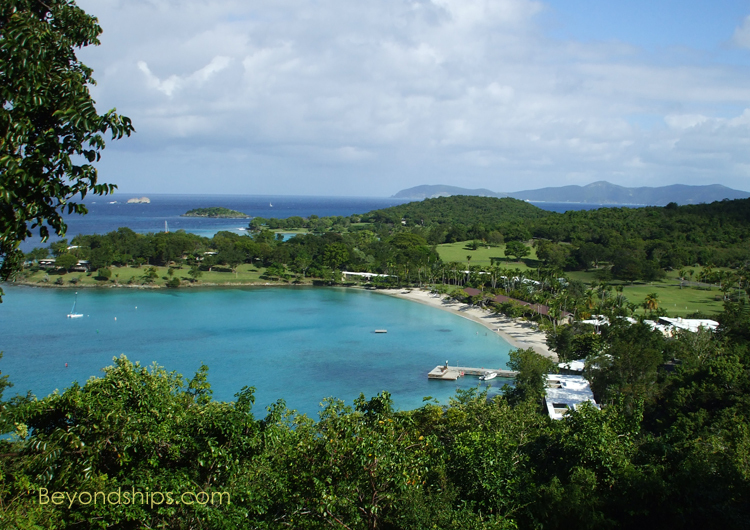 Despite this development, Cinnamon Bay remains picturesque. 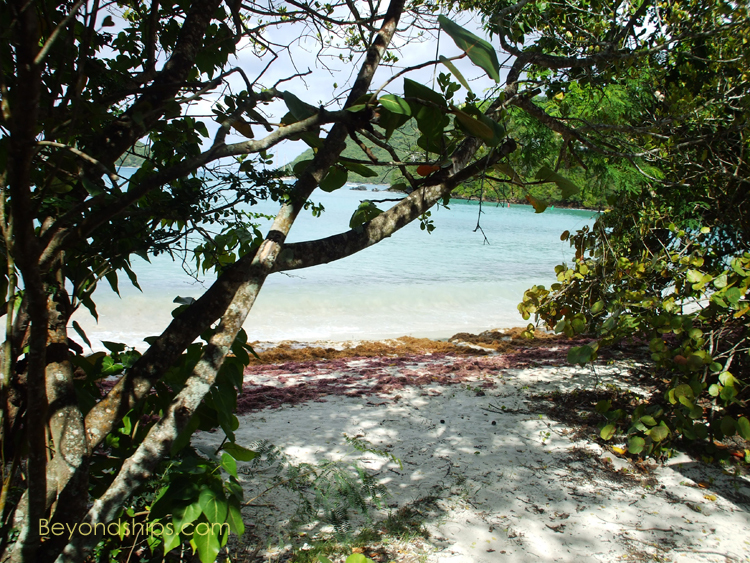 The area surrounding the beach is thick with vegetation that comes down to the edge of the white sand beach. Its clear water is subject to swells that can be used for surfing. 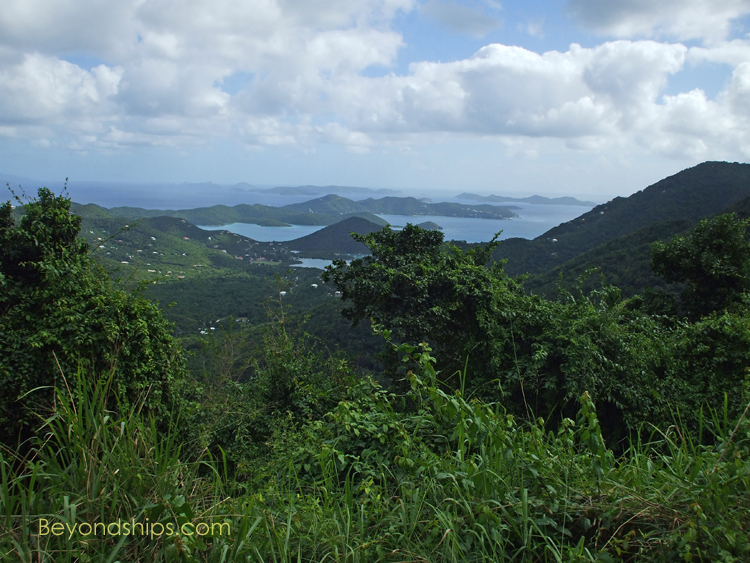 In addition, the Park Service has established trails at Cinnamon Bay that are popular with hikers. 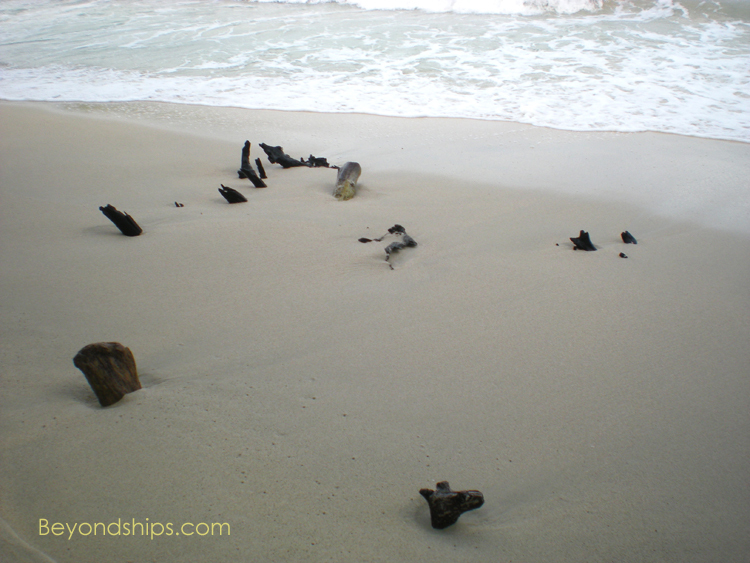 Ruins of the old plantation that once occupied the area can be found not far from the beach. Visitors can also participate in an archaeological dig that is exploring the island's pre-Columbian culture. Hawksnest Bay is a local favorite. 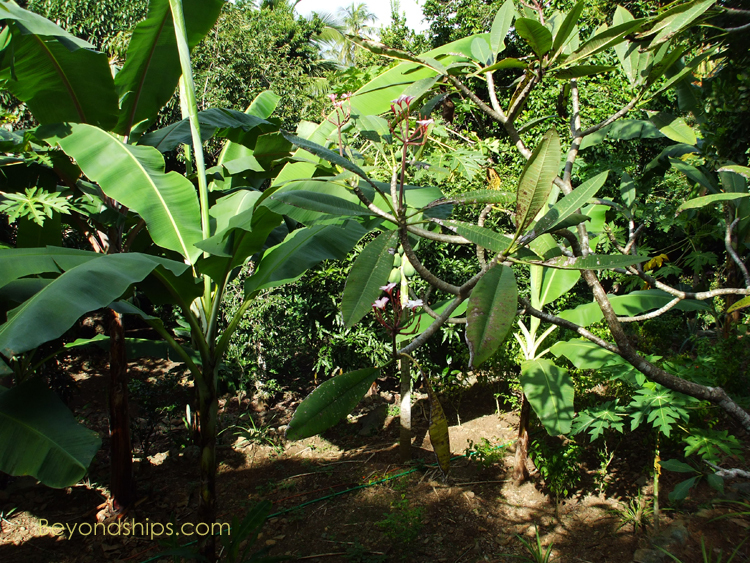 It is scenic and the lush vegetation that grows down almost to the water provides shade. Offshore is a reef for snorkeling. 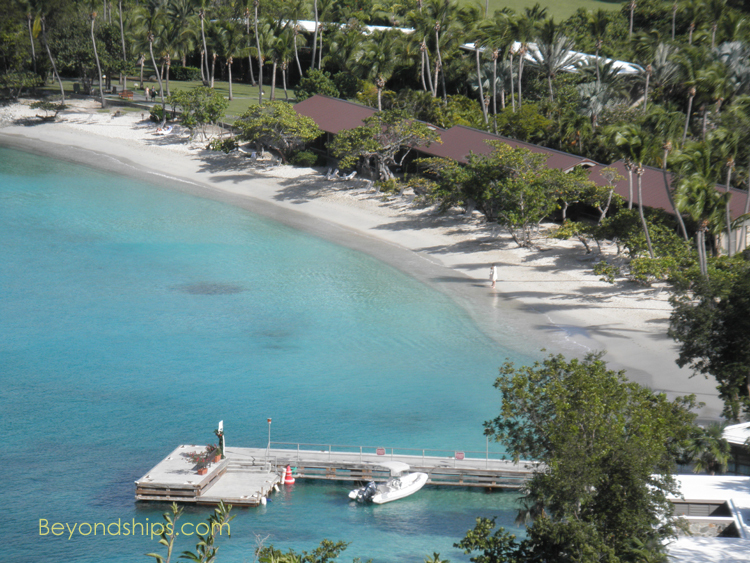 Relatively close to Cruz Bay, it is not a long drive to get there and the parking lot is not far from the beach. However, the facilities are quite limited (no flush toilets and no running water) at this beach. 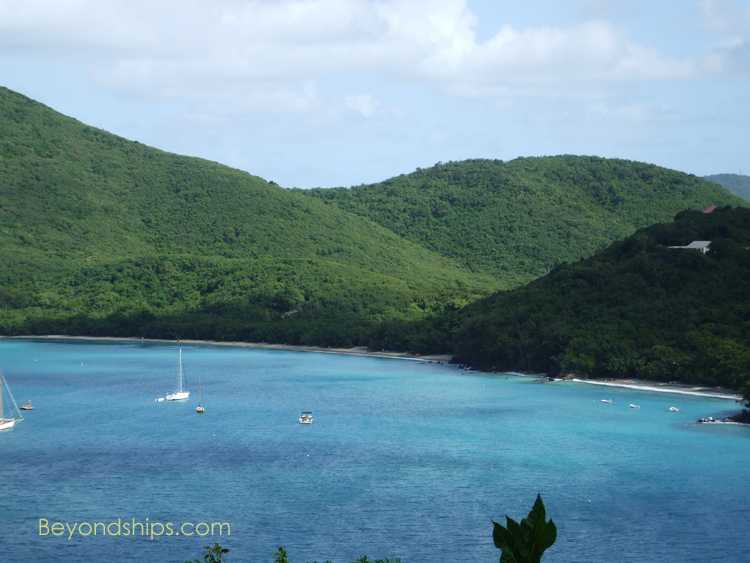 Named after the tropical maho tree, Maho Bay is a relatively shallow body of water. The floor of the bay is sandy with occasional grassy patches, which attract sea turtles. 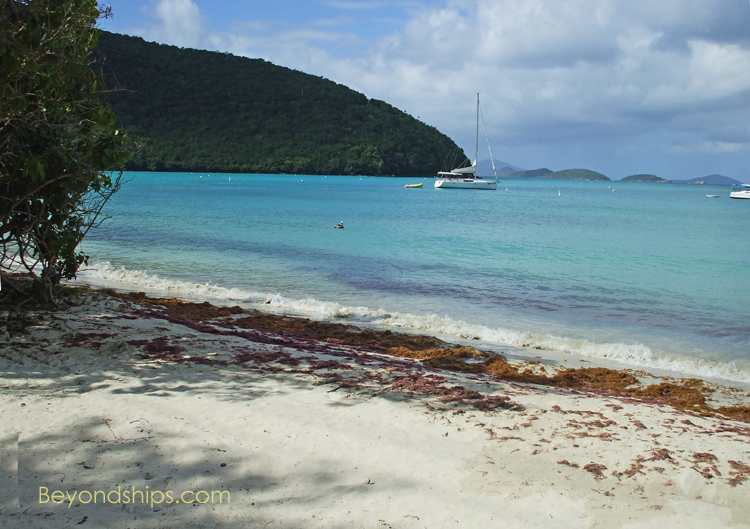 Because it is a sheltered bay, Maho is a popular anchorage for boaters. Visitors can drive directly to the beach as the white sand beach is next to the road. The National Park Service has a pavilion and bathrooms at Maho but visitors need a permit to use them. Rated as one of the world’s top beaches, it is not surprising that Trunk Bay is probably the most popular beach on St. John. (See separate review). The beach is a long stretch of powdery sand set between the blue sea and the tropical foliage. Offshore, the National Park Service has made an underwater trail, complete with signs, to guide snorkelers through the reef and to enhance their experience. Trunk Bay has changing facilities, showers, bathrooms, public telephones, picnic tables, barbecue grills, a covered pavilion and a shop. There is, however, a nominal entrance fee. 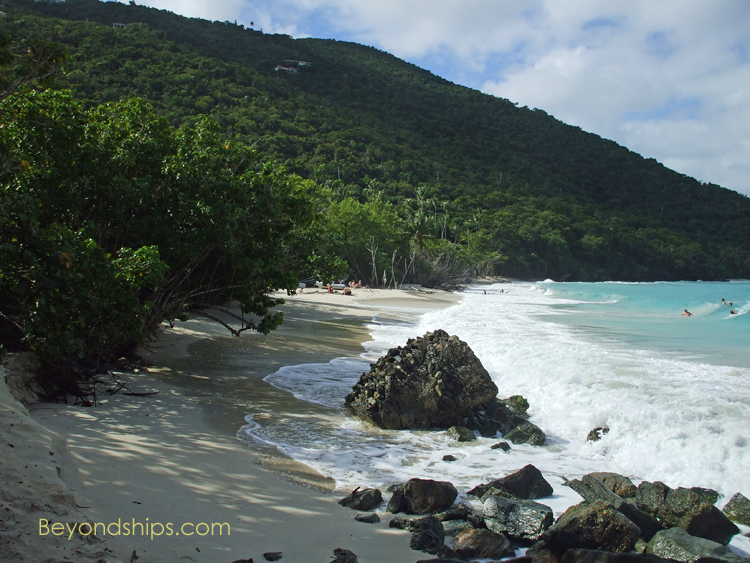 The Virgin Islands National Park is not just along the shoreline but extends into the mountainous interior of the island. There are hiking trails that will take you to scenic places such as the Bordeaux Mountain Trail that leads to the highest point on the island (1,277 feet). 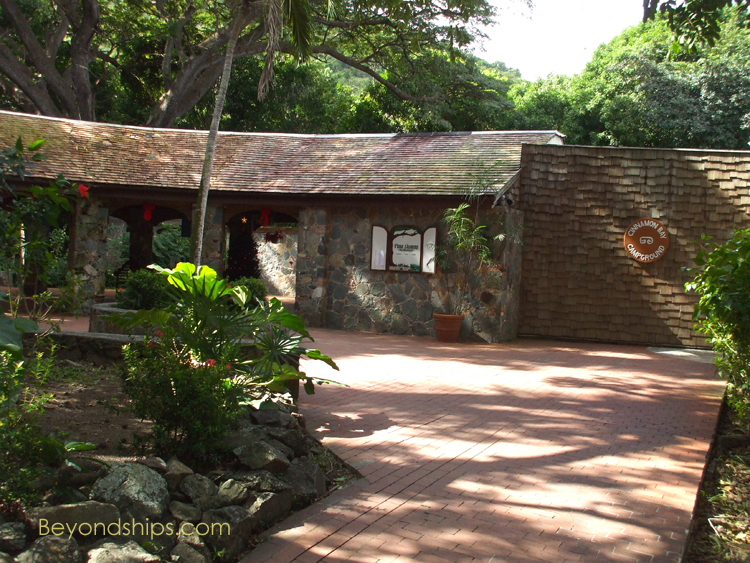 The Reef Bay Trail takes you past forests, the ruins of sugar mills, petroglyph rockcarvings, a spring-fed waterfall and a reflection pool. 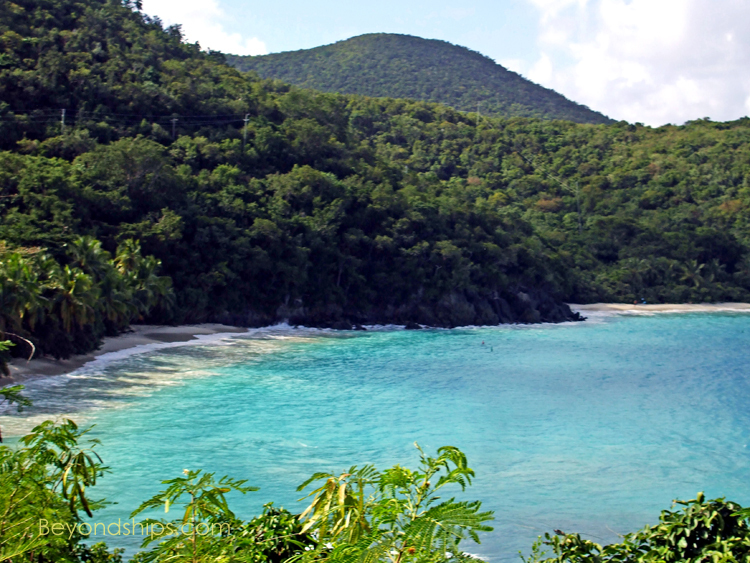 More than 50 species of tropical birds breed on St. John. Many more birds spend the winter in the island's forests. Other animals include wild donkeys that roam at large. Some 725,000 visitors come to the park each year.